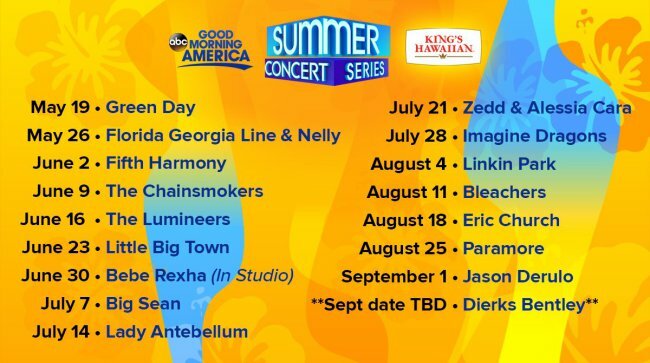 Good Morning America (GMA) is looking for 100 CUNY students who are willing to be front row VIPs at their 2017 Concert Summer Series each week! If you would like to attend please RSVP to Ashley.Walker@cuny.edu with the dates of the concerts that you would like to attend. Entry is on a first come first serve basis! Please note the 6/30 event with Bebe Rexha is excluded from this offer. Time: CUNY students must be there from 5:30am – 9:00am. Students who attend must bring a CUNY ID with them!